On Saturday (September 2) RBE held their Writers Vol. 1 event, highlighting some of the best writers in the battle culture, squaring off to see whose pen would reign supreme. The 5 battle card featured some incredibly strong showings and was a very solid card overall. Our battle by battle breakdown is below. 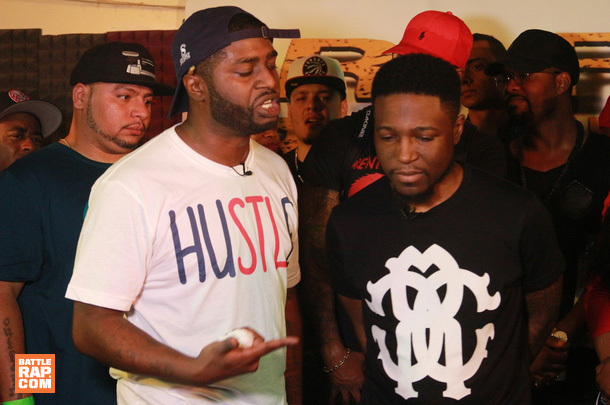 Born's long awaited matchup with Punchline A-Lister B Magic finally happens on the RBE Stage. Lots of mini stories surround this battle. Many of them old stories, but the most intriguing question going into this battle? Will the real B Magic show up? The answer was yes. 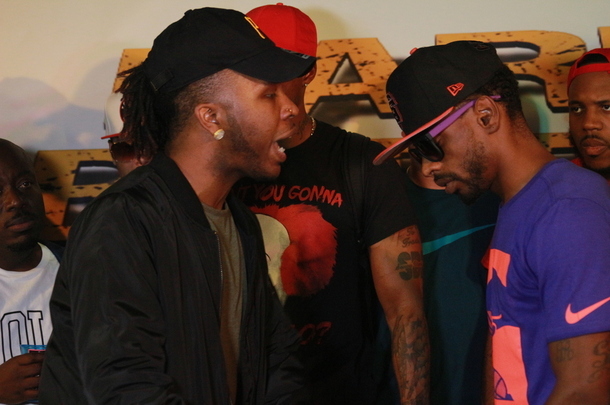 Born did a great job promoting this battle. A punch training blog featuring Michael Hughes certainly piqued interest and as the final battle of an event with only 6 battles, everyone was able to appreciate the battle with steady legs and minimal fatigue. Born opened his first round and immediately got to punching away. Line after line non-stop it seemed. The pace of the punches may have overwhelmed the magnitude of his material. It felt rushed. And then there were times where delayed reactions to material seemed to disturb the current setup he was building up. Born makes a living on camera, and this battle will be evidence that it's almost impossible to appreciate his writing talent live. This guy is literally speedbagging bars that would be haymakers for about 80% of battle rap. Fans just can't keep up. This leads to sporadic and sometimes Steams-like, 2 bars later reactions. His first round is full of these moments. There are magic flips and punches, and some references that simply require left and right brain conversations that cannot happen while he is still rapping. It is conceivable that Born wrote an entire galaxy past B Magic's first round. The issue is that it doesn't sound this way. It's static, with minimal vocal changes, pace and delivery adjustments, acknowledgement of a bar setup or any kind of crowd engagement that draws or compels a listener to lockdown. Born raps like you are obligated to hear him rap, not like he wants you to be entertained, amazed or actually enjoy his material. It's like watching Usain Bolt be faster than everyone in the world but never seeing him do it with flair. Imagine Allen Iverson stepping over Tyron Lue like a gentleman. James Harden not giving you the cooking sign after a game winner. This is the Born identity. Born's 2nd round did not start correctly. He attempted to begin the round and simply lost his place, after nearly or possibly more than a minute, he snapped into his second round. Because of this delay, ironically, the crowd was 100% more locked into his second round. His punch potency increased and so did the reaction frequency as well. I found this to be reminiscent of O-Red's choke vs Rum Nitty. What the culture got after the choke was absolute fire. How the culture decides to grade the round because of the choke? That's another story. Born's 3rd round to me was clearly better than B Magic's and I give this round to Born. B Magic was probably at 80-85% of his energy and capacity levels. Over time, B Magic has proven to be equally dangerous with comedy punches as he has with any other types of punchlines in his repertoire. He put on an all around show in the first round with his trademark flow. It just seemed like he was frighteningly comfortable and confident this entire battle. His cadence was the B Magic we have come to expect with the decrease being due to his focus on comic entertainment moreso than out-barring or out-rapping Born. In contrast to what and how Born delivered his 1st round, I think B Magic's overall presence, delivery and content was clear from the immediate listen and I gave him the first round. Born's stumble in contrast to B Magic getting a clean 2nd round off with equally entertaining moments as his first compel me to award the second round to B Magic as well. B Magic's third was more of a performance than an actual battle round. While he did have a few direct lines sprinkled about, it really had that winding down from 6th gear, ease off the pedal vibe to it. In contrast Born was relentless every round and I felt his intensity and material connected better. This was a must watch battle. Very intense. Possible BOTY candidate. Danja and Kannon exchanged a great written exchange in the first round. Danja did not like one of Kannon's setup lines about spotting Danja's shaky tendencies long ago and he chose to rebuttal it to open his second round. 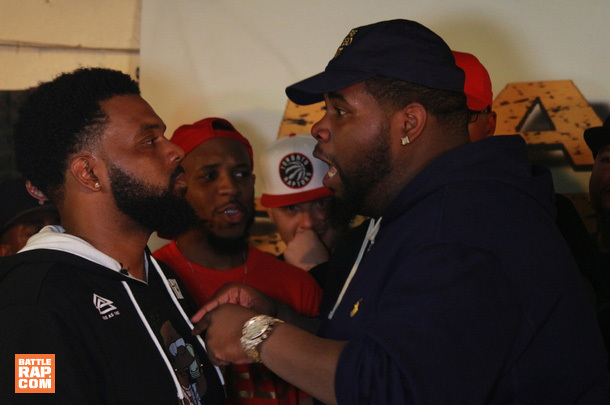 Big Kannon's reaction to the rebuttal changed the climate of this battle from a friendly spar to hell breaking loose live. Danja dropped two more heavy handed rebuttals in his second, room shaking level, and then proceeded to complete a second round that sounded almost entirely freestyle. The freestyling was actually great improv, because the context of his punchlines all related to the moment and feeling of this battle changing. Danja completed the battle with another great round in the 3rd. He chose to relive a very personal moment in Big Kannon's life that created another EPIC moment in this battle. 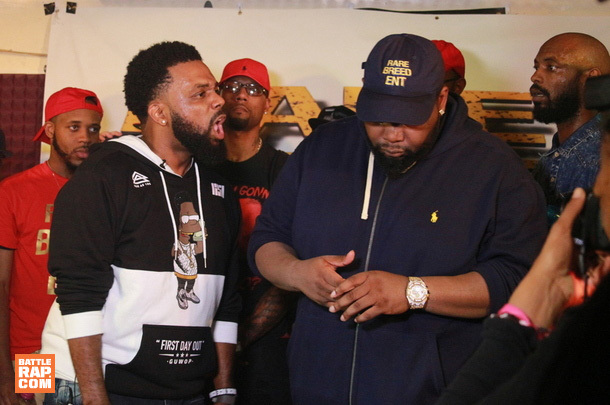 The topic was so controversial that Big Kannon nearly lost his composure and ARP was forced to demonstrate why he works out so much to keep the battlers separated. As mentioned before Big Kannon's first was a well written drive down the memory lane of Writer's Bloque. He definitely affected Danja's mentality at the point of saying he could tell Danja wasn't trustworthy early in their dealings. This might be the absolute moment that gets time-stamped in a battle. It's a prime example of why Battle Rap is so enjoyable live. Clean angle based 1st round that woke Danja up and set the stage for the final rounds to become the amazing spectacle they did. Big Kannon's second round was almost entirely built on turning Danja's 3 rebuttals back onto him. Kannon simply reset the score temporarily when his first rebuttal of his second round lifted the room again. He did not stop there and this battle became a war. The third round of this battle is cinematic. To see two really great rappers dig deep and push each other with personals and punches is amazing. The third round is a capsular reflection of exactly what goes right and what goes horribly wrong in battle rap crews. I don't want to spoil this round any further and will simply, please watch it. QP cannot go first and win a battle. Don't agree? Well please watch his past two years of battles, return here and prove otherwise. QP had great material. His classic combination of self-depricating humor, comparison of skill, dry wit and chauvinism were on full display. Watching QP is akin to enjoying a classic stand up comic that is minimal on raising his voice but still delivers moment after moment. His approach to Craig Lamar is close to what a lot of Lamar's veterans have done. The tried and true "You aren't ready for this kind of war" attack. As always QP provides moments of wow, silence and WTH did I just hear and watch. By the third QP had lost steam and seemed to stroll to the finish line. It could be detected that he had already conceded losing the battle. One, because he said it and two because he said it and then said he wins battles after the battle is over referring to something not involving punches and bars, but plenty of schemes and finesse. Conversely Craig Lamar clearly is learning and evolving. My last live view of Craig vs Big Kannon in comparison to this battle is night and day. He was clearly much more comfortable and did not hesitate to immediately use his best gift, a booming voice, to bark on QP. And he did not stop barking on QP all night. Punches, jokes, a trademark sound effect moment in his second round, all on display. He simply wanted to win his battle much more than probably anyone else on the card. His open to the second round ended with "Crackhead Larenz Tate" and the room , which is on the 5th floor in Manhattan, felt like it went up another floor in response. After the crowd settled down, he continued his barrage to clearly take the second round as well. The third round ended shortly but not before Craig had proven that QP was again not happy with the pending loss in progress. Moments of QP flashing money and side bars are a part of Lamar's finishing lap that did not end smoothly, but in contrast to QP's finish, he took the round regardless. This was a 3 round battle but unfortunately only the first two can be judged. Loso went first. Loso, since arriving on the scene, has consistently demonstrated that his rap agility is more advanced than most of his peers. It is common now that his material will have biblical and faith references. He added research to his attributes when he decided to explore J Murda's real name and how it is also connected to religion. This made for a scheme that fans had to pay attention to while also navigating his rapid punches that attacked J Murda's career standing and actual talent. The first round is a clear round for Loso. The second round Loso returned with the same intensity as his first. 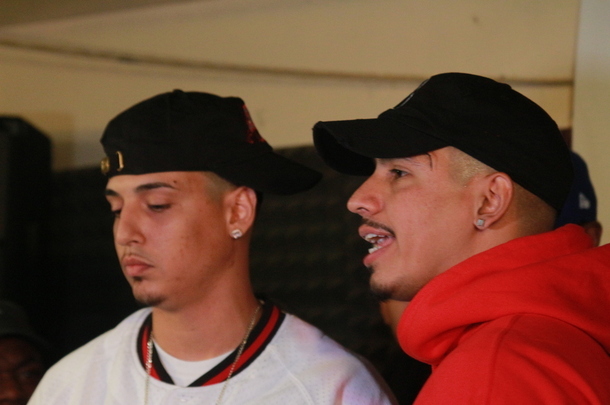 Loso's 3rd round was abruptly ended, speculation and footage may confirm that a trademark Murda belch to the face may have shut down Loso's passion to send Murda to Christ in the third. J Murda's 1st round was not well received live. His bravado and disdain for Loso's premise was evident throughout. There were moments of his first that were impactful but unfortunately he could not build enough momentum during the setups for the punchlines to land effectively. It could be seen that the lack of response or reaction disturbed him yet, he handled this quite well and finished his round clean. J Murda returned with an angle based second round. This round was received much better live and just seemed to have the kick J Murda must have to keep a crowd in tune. I felt the angle makes this round much closer but still likely to receive the favor of Loso, because Loso's writing was more complex and still potent. J Murda's third round ended abruptly also, perhaps it was a gentleman's gesture for interrupting Loso's 3rd round, or maybe he just didn't have it at the moment.